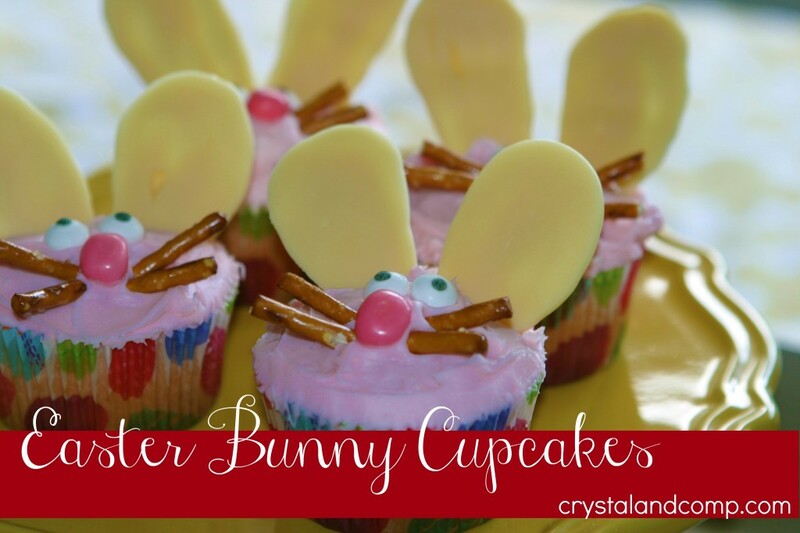 We had such a lovely Easter afternoon yesterday and I wanted to share these last minute cupcakes with you. 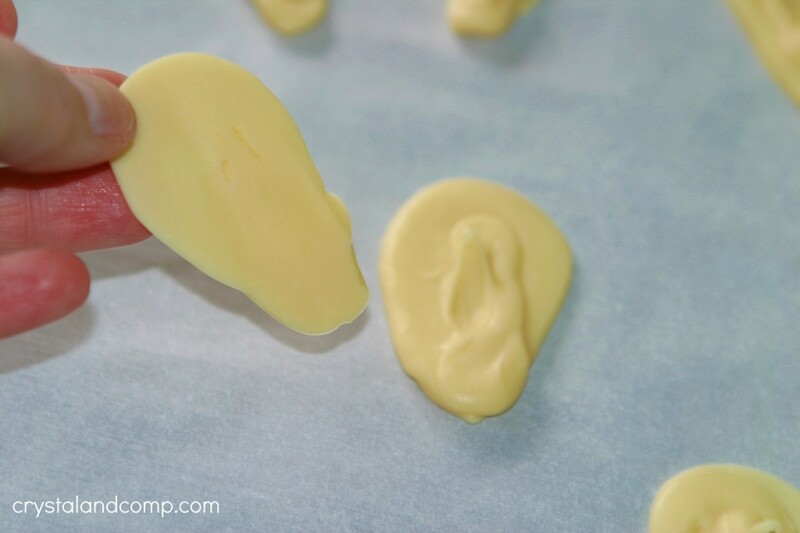 These could still be fun to make if you have the supplies already- like an extra cake mix you did not use yesterday. 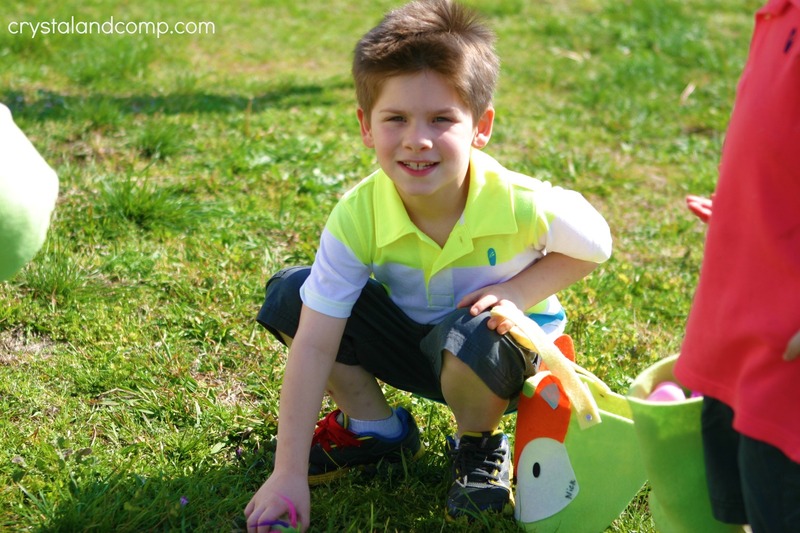 On Saturday I was planning for our egg hunt and dinner at my sisters house. 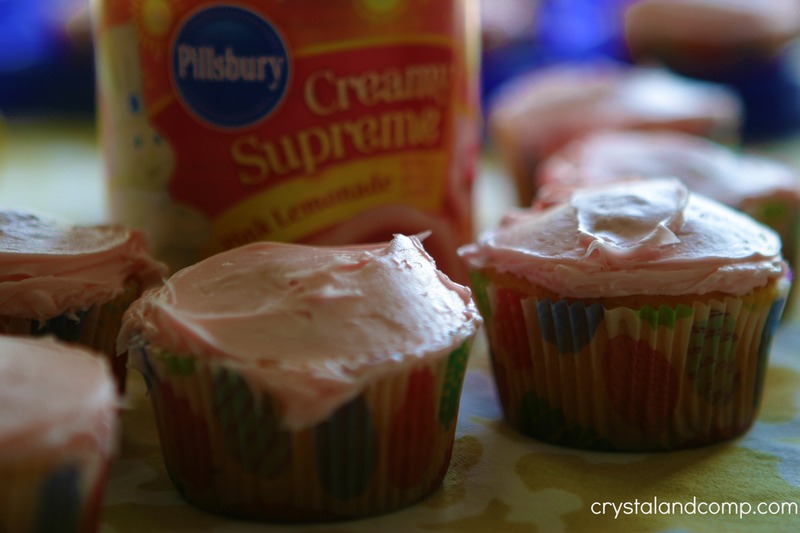 I had this Pink Lemonade cake mix and icing I had purchased weeks ago and never used. I was going to just make it as a sheet cake and call it a day. One of my sister-in-laws convinced me to make the cake into cupcakes instead and make the cupcakes look like bunnies. I had not even collected ideas. I also did not want this to become an expensive project. I went off her suggestions to use pink jelly beans for the noses and pretzel sticks for the whiskers. Let me share with you how I made them. Make the cupcakes according to the box directions. 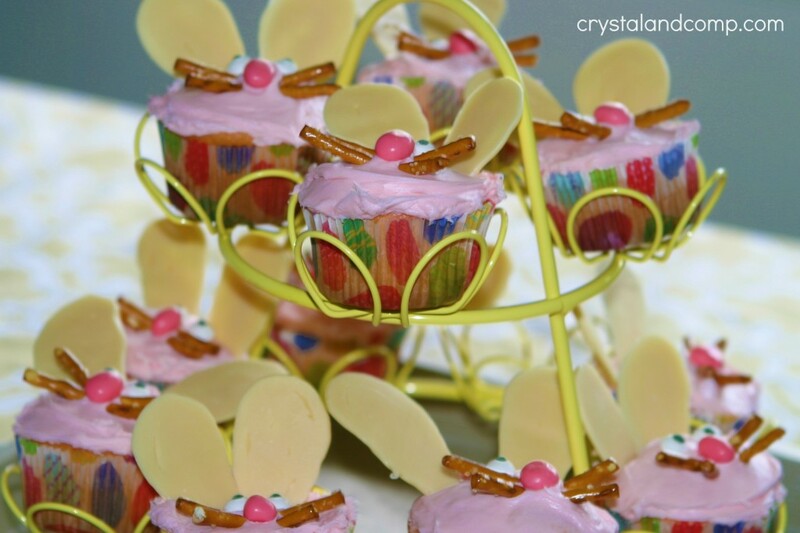 I used cute Easter cupcakes liners just to make it a little more fun. 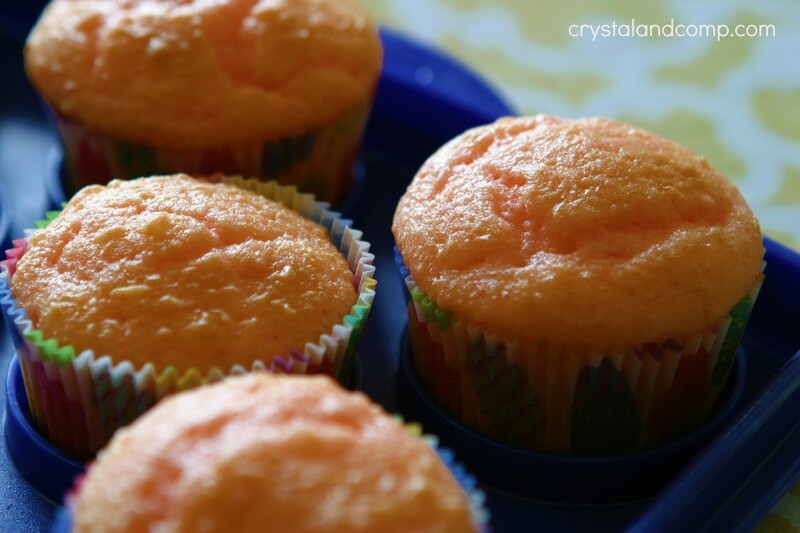 Generously ice each cupcake with the Pink Lemonade icing. 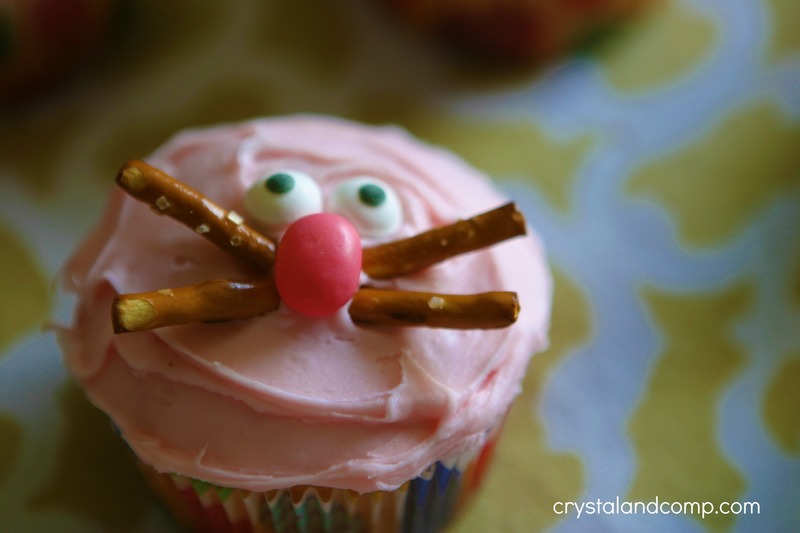 At first I was just going to do the jelly bean nose and the skinny pretzel rods cut down for the whiskers. Once I placed them on the cupcake, I was not happy with the way they looked. They looked more like cats. So, I had some leftover candy eyes in my supplies from a project a while back. I added those. We needed ears. 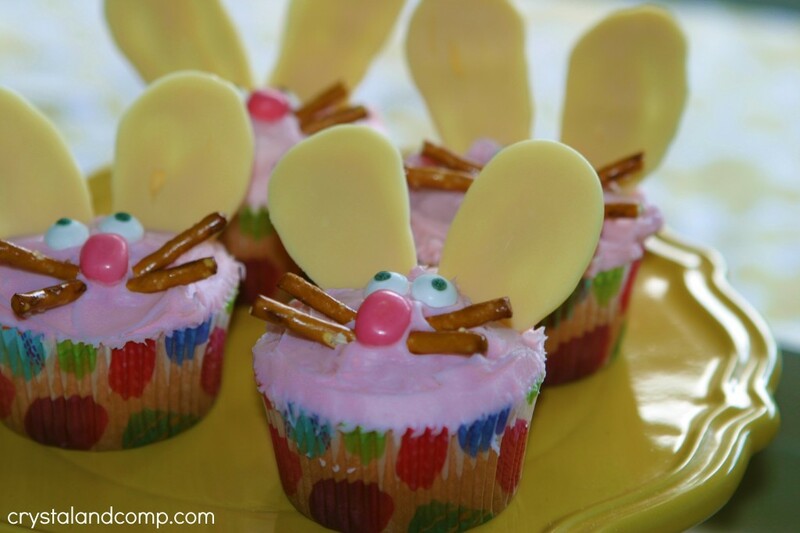 These cupcakes were looking like mice or cats, but not bunnies. 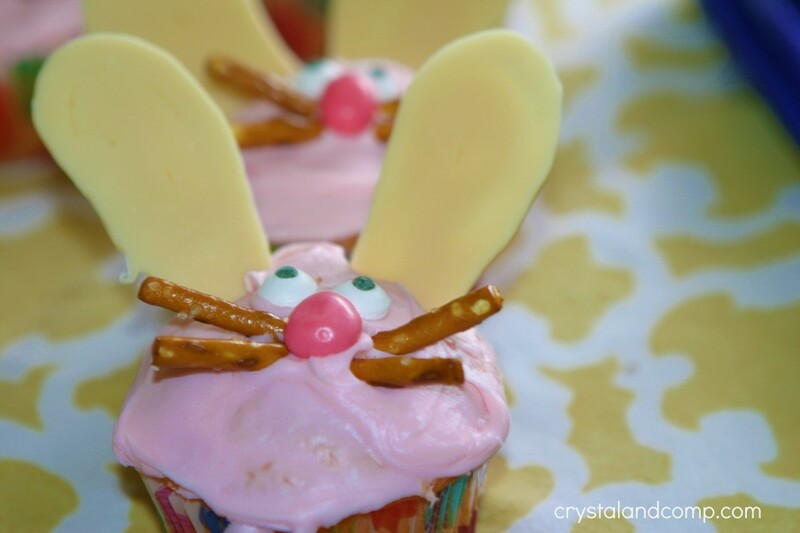 I refused to make a trip to the store, so I started Googling how to make bunny ears for cupcakes and came up with this idea. Luckily I had white candy melts in my craft supplies. 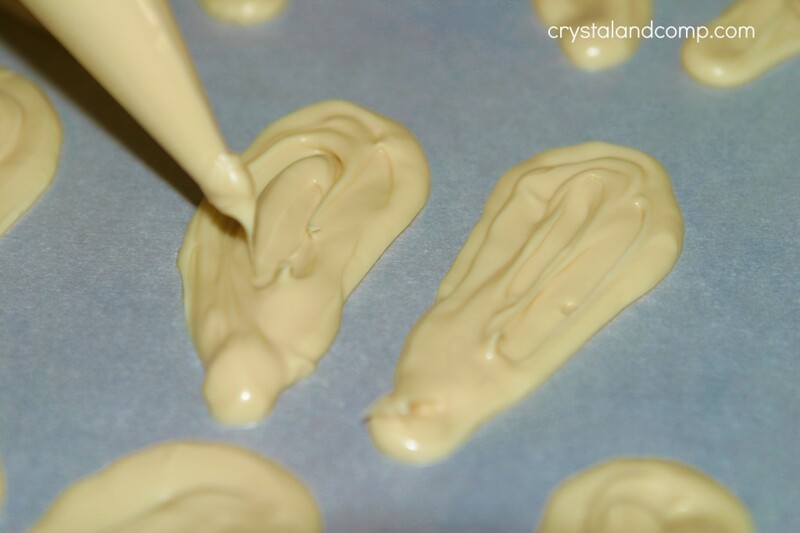 I melted the candy, added it to a piping bag and made ear shapes on parchment paper. I popped them in the freezer on cookie sheets so they would harden fast. When you remove them from the paper, the back side is smooth and perfect for ears. I poked two down into each cupcake. And we had little bunnies. You could also add white Tic Tac candies for the teeth if you have some on hand, but I did not have any. They were adorable on our springy cupcake display. The cupcakes traveled in a container, but I did take the display holder to my sisters for the final arrangement. The kids thought they were fun. Any his twin brother Luke. And the baby, who just turned 4. 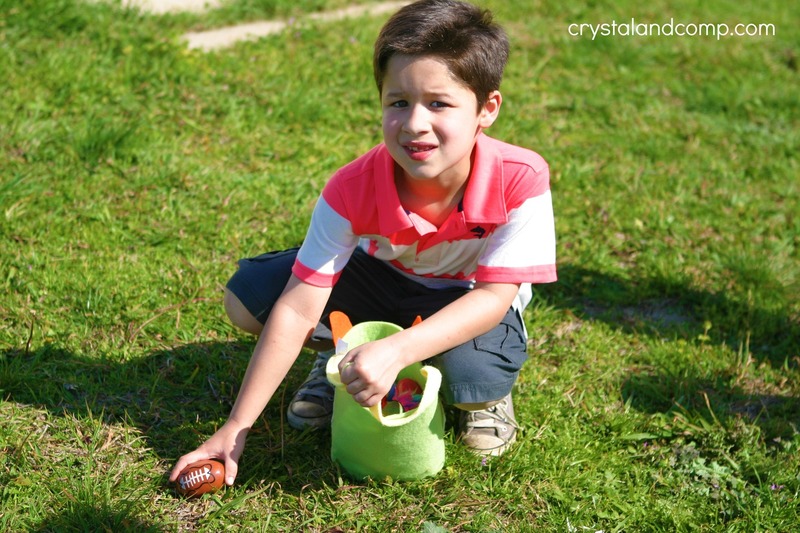 Do you have tons of plastic Easter eggs you want to store? 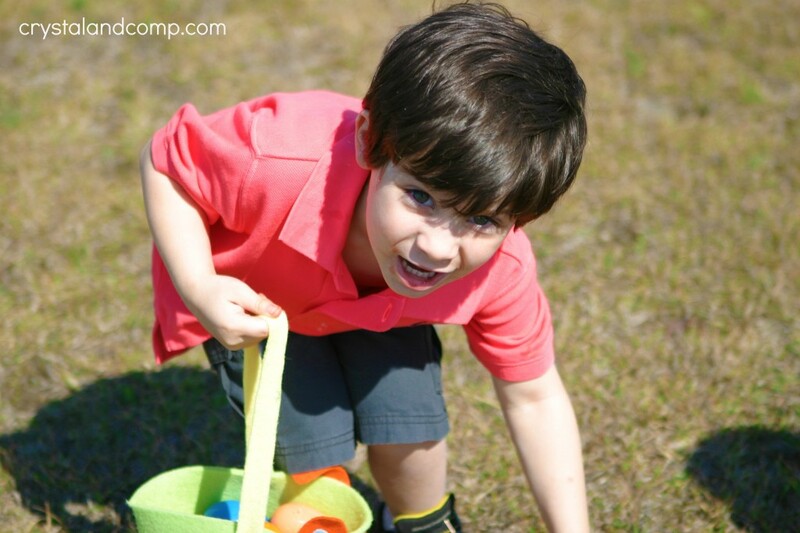 I have an awesome mommy tip! Thanks, Catherine. We had fun assembling. Oh my gosh, those cupcakes are adorable! I will have to try them next year! Thanks, Lynn. They were a fun experiment and the kids really thought they were cool.